Our Team | Roosevelt China Investments Corp.
Tweed Roosevelt, Chairman of Roosevelt China Investments Corp., is a member of one of the oldest and most-respected families in the United States, one that has had a tradition of producing leading public figures, including two American presidents, Theodore Roosevelt, his great grandfather, and Franklin Delano Roosevelt, a cousin. During the Clinton Administration, Mr. Roosevelt, representing the Roosevelt family, received the Medal of Honor, the United States government’s highest military honor, on behalf of his great-grandfather President Theodore Roosevelt. President Bill Clinton presented the medal during a ceremony in the Roosevelt Room, which is next to the Oval Office in the White House. 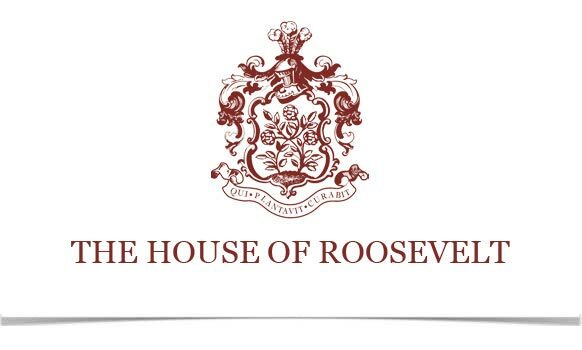 Mr. Roosevelt is the principal trustee of The Roosevelt Trust and has extensive experience in directing the management of public and private portfolios. Six years ago, he began direct investment ventures in China. He continues to be committed to promoting business growth in greater China. Mr. Roosevelt is a Shareholder of The Roosevelt Investment Group, a registered investment advisor in New York City, with approximately $2 billion under management. He also had a successful management consulting career working with all kinds of companies in the U. S. and abroad. He is President of the Theodore Roosevelt Association. He has taught at Columbia University School of Business, Harvard University, and other colleges and universities. He holds a B.A. from Harvard College, an M.B.A. from Columbia University and a Doctorate of Humane Letters from Misericordia University. Mr. Mellinger served on the investment committees of all AIG funds. Before joining AIG in September 2000, he was a founding partner of Integra Partners, LLC, a Washington, D.C.-based financial advisory and infrastructure project development firm specializing in emerging markets. Mr. Mellinger has over 30 years of experience in emerging markets banking and finance, including the seven years he served as the U.S. Executive Director for Presidents Reagan and Bush on the board of the Inter-American Development Bank in Washington , from 1986 to 1993. His first of many professional and personal trips to China was in November, 1979. Prior to the IADB, he was Chief Financial Officer of Mexico ‘s Gruma Corporation, one of the largest food manufacturing groups in Latin America . He began his professional career with the Union Bank in Los Angeles , where he became the regional head of both the Latin America and Asia Pacific groups, before becoming its Senior Vice President and General Manager for International Banking. He holds a B.A. in International Relations from the University of Kansas and an M.S. in International Management from the American Graduate School of International Management. Tse is President of Roosevelt China Investments Corp. and President of Roosevelt Sino Retailers LLC, serves as Chairman of Roosevelt Ping An (Holdings) Ltd, a joint venture between Roosevelt China Investments and Ping An of China, the second largest life insurance company in China. He is also a Board member and President of Shanghai Roosevelt Jiushi Private Equity Management Co., Ltd, a joint venture between Roosevelt and Shanghai Jiushi (Group) Co., Ltd, the first governmental investment company in China with asset under management of 69 billion USD (435 billion RMB). Tse has more than 20 years of financial and commercial experience in investments, finance, real estate, telecommunication, and service industries in Asia and North America. He is also the Executive In Residence of Northeastern University in Boston, U.S. Tse has completed the Harvard Business School Executive Program in Private Equity and Venture Capital and Yale School of Management Executive Education Program in Negotiation and Innovation.